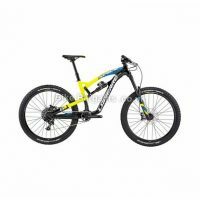 The 2016 Kona Process 111 DL is an awesome enduro bike. 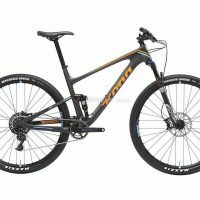 With its 29er wheels it's brilliant for climbing but with the extra room in the cockpit, allows the rider to descend with maximum control and confidence. 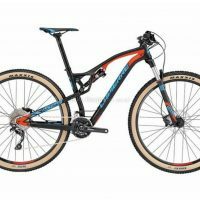 Kona 6061 Aluminium frame Rock Shox Pike RCT3 120mm forks SRAM X01 drivetrain Shimano XT hydraulic disc brakes KS LEV Integra seatpost Maxxis Minion tyres Specification: MTB: Yes Number of gears: 11 Front Axle Type: QR15 Cable Routing: Full Outer Model Year: 2016 Frame: Kona 6061 Aluminum Butted 111mm Travel Fork Material: Aluminium Alloy Fork: Rock Shox Pike RCT3 120mm QR15 Tapered Steerer: Tapered Dropouts: Replaceable Rear Derailleur Hanger Wheel Size: 29" (622) Wheelset: Novatech hubs laced to WTB Asym i29 TCS rims Groupset Manufacturer: SRAM Front Derailleur: SRAM X01 Rear Derailleur: SRAM X01 Brake Type: Hydraulic Disc Brake Brakes: Shimano XT levers Brake Callipers: Shimano XT with 180 - 160mm rotors Chainset type: Single Chainset: Race Face Turbine Chainring Size: 32 Tooth Chain: KMC Cassette: SRAM XG1195 10-42t 11spd Cassette Range: 10-42 Tooth Handlebars: Race Face Atlas Bar Tape - Grips: ODI Ruffian MX Stem: Kona XC - BC 35 Seat Post: KS Lev Integra Saddle: WTB SL8 Team Tyres: F: Maxxis Minion DHF EXO DUAL TR 29x2.3" R: Maxxis Minion Semi-Slick DUAL EXO TR 29x2.3" Pedals: Supplied with basic flat pedals Warranty: "2 year frame warranty, 12 month parts warranty" Rear Shock - Travel: Rock Shox Monarch RCT3 with 111mm travel Fork Type: Suspension XC Through to Full-on Enduro The ground-breaking Process 111 returns with an incredibly deluxe parts spec in the all new Process 111 DL. 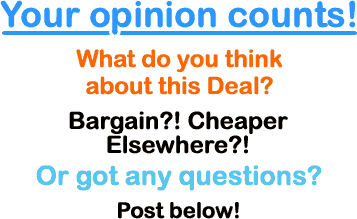 This is the most capable 29-inch dual-suspension bicycle currently on the market. 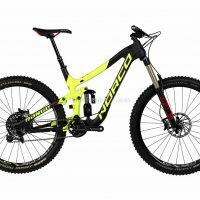 From XC through to full-on enduro (you can even shred bike parks on this baby), with aggressive geometry and a low-slung frame weight perfectly suited to allow for quick, nimble riding over a wide-variety of terrain, the Process 111 DL will be one of the most exciting mountain bike's you ever ride.The industry-leading revolution in mountain-bike geometry started with the Process platform. The short stem for stiff and quick handling mated with lengthy reach numbers for a confidence inspiring overall fit and long front center for stability at speed. Add short chainstays, to maintain maneuverability in technical situations, and a low BB for an in-the-bike feel. The lowest standover possible on all sizes, while short chainstays benefit cornering, jump-ability and overall bike stiffness. New frame features for 2016 on the 111: a lighter seat tube, seat tube gusset and chainstay.KS Lev Dropper Post The KS Lev dropper post will allow you to descend with ease, no more need for your saddle to be in the way. With a simple press of the trigger it gives you 100mm more movement to weave through the trails.SRAM XO1 Drivetrain The SRAM X01 drivetrain is the perfect combination of performance and durability, with its zero loss engagement ensuring reliable and fast shifting whatever the terrain.Shimano XT Hydraulic Disc Brakes The Process is designed to be ridden fast, when riding fast you need to know you can stop. So kona kitted the the Process up with Shimano XT hydraulic brakes, with 180mm and 160mm center lock rotors giving you the braking power you need no matter what the weather or terrain you trying to defeat.WTB Wheelset WTB Asym i29 TCS double wall disc specific rims are laced to Novatech sealed bearing hubs, with bolt through axles front and rear. These are wrapped in Maxxis Minion tyres, to give you a great wheelset for attacking even the gnarliest terrain at speed. 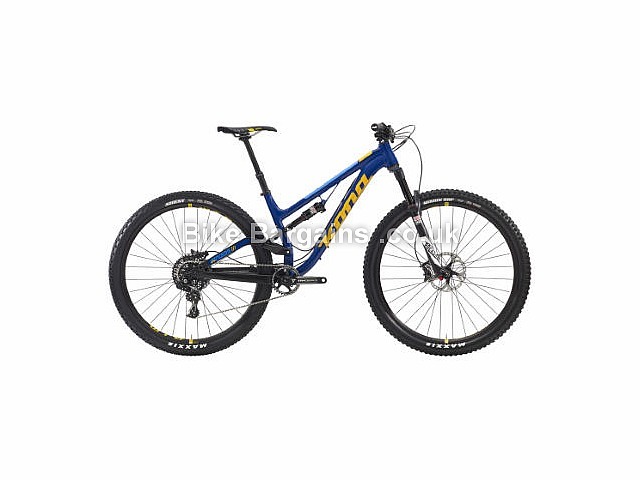 This £2099.99 2016 Process 111 DL FS Mountain Bike deal has expired. However, you can..